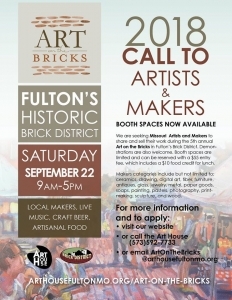 Calling all Missouri Artists and Makers! Art House is looking for high-quality artisans and makers who create, make, source and grow unique and original products. Don't miss your chance to be a part of this exciting, two-day event! Register for your booth today!